This Angelcare video, movement and sound monitor has been created with total peace of mind at the heart of all its functions. Not only does it have crystal clear sound transmission, and full colour digital display – it boasts the new wireless Sensor Pad which lies under the mattress to monitor all your baby’s movements, especially the slightest ones. (If no movement has been detected for 20 seconds, then an alarm will sound prompting you to check on your sleeping baby). The AC517 and its wireless movement sensor pad, uses the latest technology to collect and store data on the systems parent unit. Information stored is over a period of the last 2 months, and a definite plus point to this technology means parents can review the data reports if they wish, and make any necessary changes to the baby’s sleeping environment. A 5 inch colour LCD screen on the Parent Unit clearly displays a number of monitoring features, so even if you turn the sound down or off then you’re still able to monitor your baby. An alarm can be set on the thermometer, to keep your baby at a comfortable constant temperature of your choosing. A wide-angle camera can be wall mounted, or fixed “table-top” with adjustable magnetic mounts, ensuring perfectly clear night vision to enable you to relax through the night too. Sensor Pad can add even more peace of mind. Great clear camera quality- especially with night vision. Strong signal from different parts of the house, even outside. Numerous monitoring alarms can be set if you so wish. Sometimes alarms sound on the Sensor Pad, when in fact the baby is just sleeping too far away from the centre of the pad. However, the plus points to this pad far outweigh the odd “false” reading. Priced in the top tier of monitors, but should far exceed your expectations – thus worth every penny! 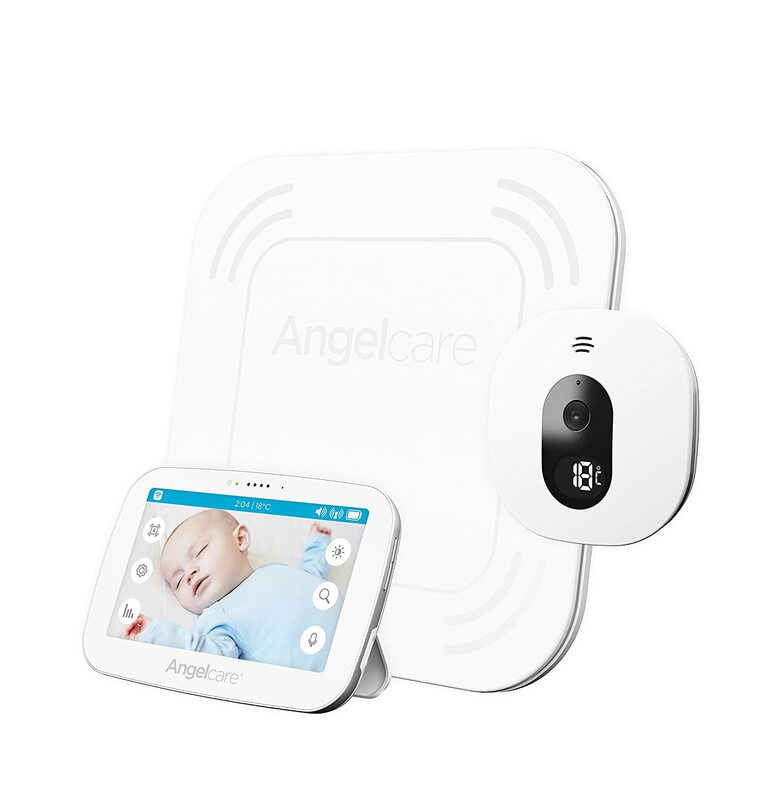 Angelcare AC517 Digital Video, Wireless Movement and Sound Touch Screen Baby Monitor is certainly one to consider. As a new parent, this high-tech monitor should tick all the boxes from your worry list! It is packed full of features that will give the confidence and peace of mind you are looking for, and its price tag reflects this.